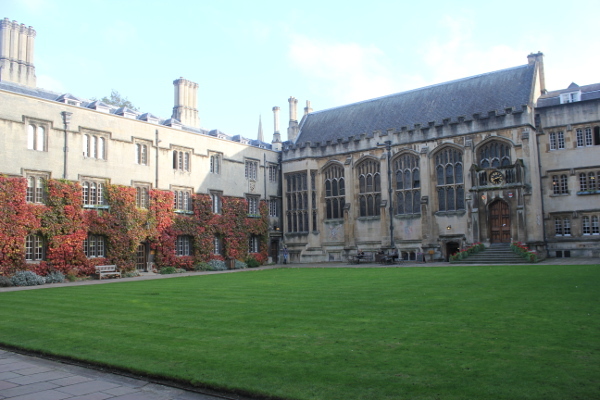 Progressive Palaeontology will be held in Oxford in 2016! We look forward to seeing you on the 19th–22nd May for fantastic talks, great social events and the choice of an exiting two-day field trip to the Isle of Sheppey, or an exclusive behind-the-scenes tour of the Oxford University Museum of Natural History (http://www.oum.ox.ac.uk/) collections. The conference will kick off on Thursday 19th May, with an icebreaker reception under the dinosaurs in the stunning OUMNH. This building is not only home to some fantastic specimens that you can peruse at your leisure, but is also steeped in palaeontological history. On Friday the 20th May, the conference will begin in earnest with a full day of talks, lightning talks and a poster session. We invite students to submit abstracts via our online registration form. Delegates will once again come to the OUMNH, where the talks will be held in the lecture theatre on the first floor. The poster session and coffee breaks will be held in the Earth Science Department next door, in our rooftop Researcher's Common Room. 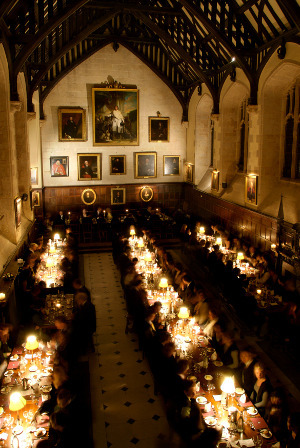 The annual ProgPal dinner and auction will be held on Friday evening in the University of Oxford's Exeter College. At more than 700 years, old Exeter is the 4th oldest college in Oxford. The auction will be held to raise money for student travel grants in future years. The weekend activities will start on the Saturday morning, 21st May, and delegates can chose between two activities; an overnight trip to the Isle of Sheppey, or a behind-the-scenes tour of the OUMNH. The Isle of Sheppey beds are early Eocene in age, and yield some beautifully preserved fossils found in nodules, such as fish skulls and crustaceans. Other fossils found here include shark and fish teeth, fish bones, bird and mammal fossils, and pyritised gastropods, echinoderms, and plant fossils. The OUMNH is home to a huge amount of historically important fossils and other natural history relics. As an alternative to the field trip, the more indoor-inclined palaeontologists can opt for this tour instead. The museum is home to some amazing specimens, such as 'the last dodo', the oldest pinned butterfly, and the book featuring the oldest published dinosaur bone, the distal part of a Megalosaurus femur. Both weekend activities will be allocated on a first come, first served basis. The final deadline for conference registration (if you are not submitting an abstract) is Friday 13th May 2016, as we must confirm numbers for venues and catering at this point. The field trip will be an overnight excursion to the Isle of Sheppey, leaving early on the Saturday morning and returning to Oxford between 5 and 6pm on the Sunday. Accommodation will be provided for Saturday night on the Isle of Sheppey but please be aware that you will need to share and that it will be basic. More details will be provided closer to the time. Places are currently limited to 28 people, but we will have a waiting list. If we have significant interest and can source additional funding, we will endeavour to take as many people as possible, so please do sign up if you may be interested. Note: travel and accommodation are provided free of charge, but attendees will be responsible for their own food costs. Follow in the footsteps of palaeontologists Edvard Luiidi, Edward Jacob, William Shrubsole and esteemed others on our two day field trip to the Isle of Sheppey. We will explore the London Clay led by Professor Matt Friedman, with both vertebrate (fish, reptiles, teeth and more) and invertebrate (crabs, bivalves, gastropods, bryozoans and yet still more!) fossils found at the site, and even trace fossils for the more ichnologically inclined. To get excited head over to www.sheppeyfossils.com/pages/fossils.htm. To submit an abstract please first register for the conference using the registration page below, indicating your preference for a Talk (12 minutes plus 3 minutes for questions), Lightening Talk (4 minutes plus 1 minutes for questions), or a Poster (A0 Portrait). You will be sent a link to download a Word Document template with which to submit your abstract. Abstracts should be e-mailed to progpal2016@palass.org. The deadline for abstract submission is Friday 15th April, 2016. Our ProgPal Travel Grant Crowdfunder has now ended. We are delighted to announce that we met our target and as a result have been able to offer a number of travel grants to overseas students. Thank you to everyone who donated, we really appreciate the support for our conference and overseas palaeontology students. We are offering a limited number of travel grants for non-UK resident attendees who will also be presenting at the conference. Travel grants will cover expenses up to £200 (GBP). If you wish to apply for a travel grant, please submit an explanation of why you need a travel grant to attend the conference, along with your abstract. This statement should not exceed 150 words. A small local committee will decide upon the grants in a blind review process, where the quality of the abstract and the rationale behind the extra statement will be considered. The deadline for travel grants is Monday February 29th, 2016, applicants to travel grants must also submit their abstract for a poster or talk by this deadline. Decisions will be made within two weeks of the submission deadline. We will be running two palaeontological workshops as part of ProgPal 2016. These will be a workshop on Phylogenetics in R, run by Dr Roger Benson, and a workshop on SPIERS, run by Dr Imran Rahman. Both workshops will run at the same time on Thursday 19th May so you will only be able to attend one workshop. Both will include a short tea break and be followed by a question and answer session about publication of research from Wiley. The workshops will run 2.30-5.30pm in the Department of Earth Sciences, University of Oxford. You will need to bring your own laptop for both workshops, with either R (https://www.rproject.org/) or SPIERS (http://spiers-software.org/download.htm) installed respectively. These laptops will need battery as there is limited plug availability. We are accepting donations for our auction, held to raise money for overseas travel grants in future years. If you have anything you wish to kindly donate, please contact us (progpal2016@palass.org)! Join our Facebook group (https://www.facebook.com/groups/1697176050519144/) or follow us on twitter @Progpal2016. You can email us on progpal2016@palass.org.